So now the fun begins as we start sharing and showcasing the new Healthy Sense of Self book and our Bigger Mission! We are feeling pretty cosmopolitan with book related events happening at home in Bellevue (Near Seattle), WA mid-November and “across the pond” in London at the end of October. 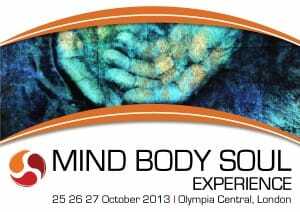 HealthySenseOfSelf is excited to be an exhibitor with a booth at this year’s Mind Body Soul Experience 2013 #mbs13 in London. This is a fantastic 3-day event covers complementary health, spiritual awareness and personal development and is the largest of its type in the UK. If you live within travel distance, or happen to be visiting during this time, don’t miss out on this opportunity, and stop by the HealthySenseOfSelf booth where we will provide information about the Sense of Self Theory and Method for developing a healthier Sense of Self! The new book ‘Healthy Sense of Self- How to be true to your Self and make your world a better place!’ will be available for purchase as well as a variety of free giveaways. Want a Kindle version of the book right now? Help yourself by clicking on the book cover below! Stay tuned for more details on the official U.S. Book Launch on November 15th in Bellevue, WA graciously sponsored by Umpqua Bank.